This was used for an animation showing how the model was assembled. Each individual part was even assigned its name and serial number as shown in the assembly sheet. 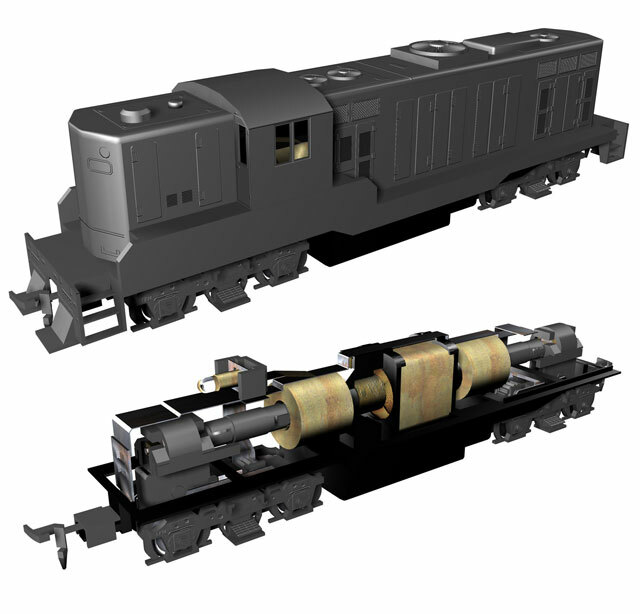 The lower image is the model locomotive without the shell showing the detail on the inside. My only real regret about this piece is that I never completed the railing or gave it a paint job. Modeled using Autodesk 3ds Max.